An office chair which made a cameo in The Simpsons and can be seen in the permanent collection at the Museum of Modern Art, the significance of Herman Miller’s Aeron chair would be impossible to overstate. 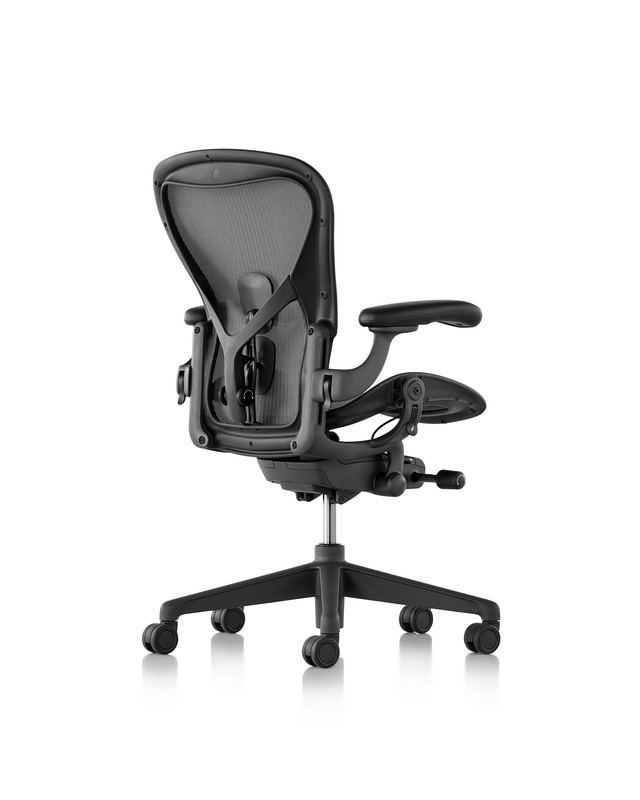 An antidote to the restrictive and uncomfortable design of traditional office furniture, the Aeron desk chair from Herman Miller brought style and comfort to the workplace. The brainchild of designers Bill Stumpf and Don Chadwick, the chair was born out of Herman Miller’s desire to create ‘the next-generation office chair’. The design emerged from research that the two had carried out when producing chairs for the elderly. Recognising the need for improved lumbar support and less angles, they designed the technology necessary to create chairs that responded to the person who was sitting in them.